One of the reasons I applied to attend the 6th Lindau Meeting on Economic Sciences was the expectation of coming back brimming with self-motivation. Moreover, I expected to be deeply fascinated by the commitment of the pioneers of economic sciences, by their bravery in addressing world issues and by their lives as common individuals facing successes and failures. My expectations were by far exceeded. I have always genuinely aspired to become an active participant in economics and to make a difference. My passion for the subject started with my postgraduate studies and further developed during my work at the United Nations and my academic experiences. 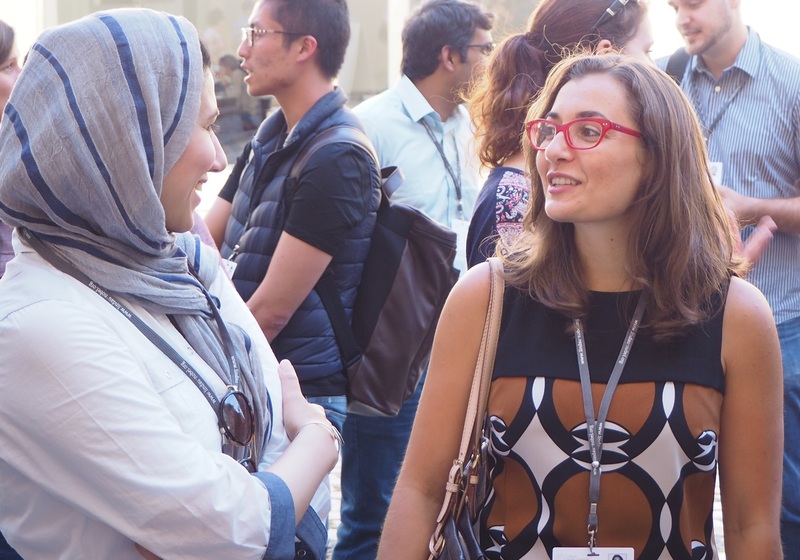 A special opportunity offered by this meeting is the possibility of interacting with Nobel Laureates and other young academics, while sharing passions and values, understanding different cultures and exchanging ideas and future collaborations. 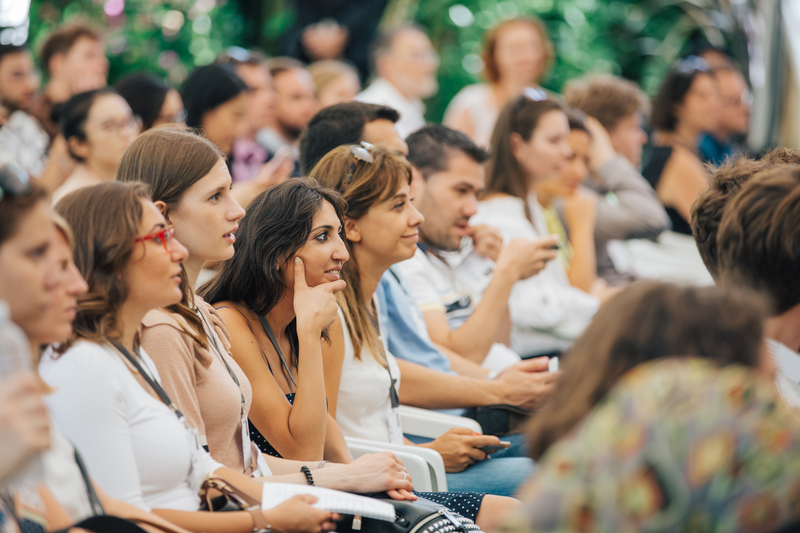 But what also fascinated me and made this experience even more magic and overwhelming was the passion, the eagerness and the determination of the many young women economists I had the pleasure of meeting in Lindau. One of the ideas that particularly got my attention during the meeting is what Nobel Laureate Bengt Holmström called serendipity. Among the various questions to the laureates, many young economists were eager to know the secret of their success: how did they do it? A common answer was indeed serendipity. An unexpected discovery that occurs by chance, a valuable finding that was not looked for by others, being in the right place at the right time, or simply luck. Nevertheless, the role of chance – or luck – in science is also driven by passion and determination. Often, such unexpected findings come from an error in the scientist’s own methodology, according to scientists Kevin Dunbar and Jonathan Fugelsang. Passion and determination were in fact the two main elements that I sensed when talking with young women economists about their research interests. 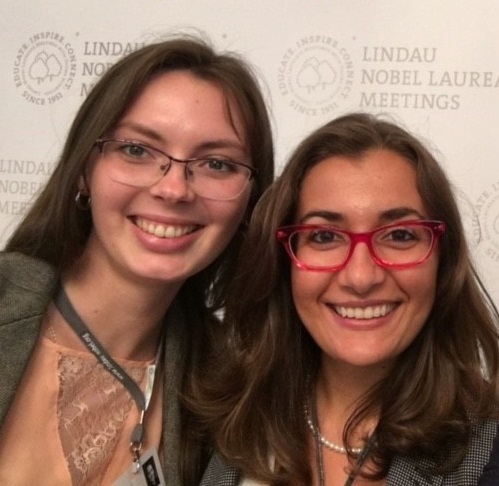 During my week at the meeting, I had the honour of presenting my research in front of five Nobel Laureates – an invaluable experience – and the pleasure of interviewing several young women economists from different countries, cultures and backgrounds. They came from Africa, Russia, Iran, China, the United States, Germany and Italy, and they all have one element in common: passion. When I asked them about their motivation for doing academic research, the first answer was indeed passion, eagerness to learn, to understand and provide valuable results to inform some of today’s most debated issues – such as climate change, economic sanctions, information asymmetry, inequalities, labour markets, growth theory and monetary policy. The women economists, and women’s participation in the economy more generally, provide a diversity of economic thinking, as Janet Yellen recently emphasised in a speech at Brown University. This diversity of thinking comes from the fact that, as one of these women economists told me, economics is not just economics. Being an economist implies knowing about mathematics, statistics, natural sciences, law, politics, psychology, history, sociology and more. Economics means dealing with issues that involve institutions and individuals. All these elements together make it a powerful tool for improving people’s welfare and lives. On the one hand, welfare is one of the motivations driving Linda Glawe, a young German economist from the University of Hagen, to focus on prolonged growth slowdowns in emerging market economies and on the concept of the middle-income trap. In a world in which more than five billion people live in middle-income countries, representing more than 70% of the world’s poor population, a slowdown in emerging markets will have strong implications for low and high-income countries. Therefore, the danger of a middle-income trap is of great relevance for future welfare. After publishing a literature survey on the middle-income trap, Linda’s current research aims to provide a theoretical contribution to discussions of future growth in China. On the other hand, when we talk about welfare we often refer to the fact that countries have unequal living standards that makes them grow faster or slower than others. Therefore, some countries display higher inequalities in incomes, wealth and human capital. These issues are among the main research interests of Rong Hai, a Chinese young assistant professor in economics at the University of Miami. In one recent paper, she and laureate James Heckman investigate the determinants of inequality in human capital with an emphasis on the role of credit constraints. The results show that both cognitive and non-cognitive abilities are important determinants of human capital inequality. In addition, credit constraints are important because young people cannot borrow enough against their future human capital and thus suffer from lower consumption when they are in school. In a second paper, Rong finds that reducing income inequality between low and median income households improves economic growth. But reducing income inequality through taxation between median and high-income households reduces economic growth. When investigating economic inequalities, there are many reasons to explore inequality within cities or states, especially if we consider that individuals move across space. Thus, the disparity of a particular area is also a reflection of the skills of these individuals as potential workers. From a labour economist perspective, Sarah Bana, an American Ph.D. candidate at the University of California, Santa Barbara, is interested in understanding the returns to skills and the role that skills play in earnings inequality in the US labour market. One of her current research papers looks at displaced workers, those who lose their jobs as a result of a firm or plant closing. Analysing comprehensive occupational employment data, the results of her research suggest that vulnerable displaced workers’ difficulties in the labour market are a function of their skills and less related to the goods and services they were previously producing. This is due to the fact that the same set of tasks can be applied in the production of various goods and services, but there appears to be little scope for workers from shrinking occupations to find work with similar earnings, which may help to explain the large earnings losses. As a researcher in labour economics, Sarah thinks of an individual’s work as their contribution to their family, community and society. But this may be hard for those workers who are displaced in worse labour market conditions. Several studies investigate the effects of the global financial crisis on the labour market. The data from the displaced workers survey from 1984 to 2014 clearly show a sharp increase in the rate of job loss. Besides the effects on the labour market, the long-lasting impacts of the financial crisis on the economy and wider society have questioned the adequacy of the traditional tools in explaining periods of financial distress as well as the adequacy of the existing policy response. At the same time, the financial crisis has shown that complex interconnections among financial institutions represent a mechanism for the propagation of financial distress and they are nowadays recognised as one of the key elements of potential financial instability or systemic risk. This is one of the crucial issues that the young Italian economist Chiara Perillo, Ph.D. candidate at the University of Zurich, is investigating. In particular, she is exploring the implications of the unconventional monetary policies (such as quantitative easing) in the euro area by combining financial network analysis with econometric methods. Using the time evolution of loans granted from euro area banks to different institutional sectors operating in the euro area, her results show that since the beginning of quantitative easing there has been an increase in bank lending, but mostly addressed to the banking system itself. Another element that drew my attention while getting to know the young women economists was their diverse backgrounds, another powerful tool for academic research in the diversity of thinking. Being Russian by origin and doing research based in Germany, Maria Kristalova, Ph.D. candidate at the University of Bremen, investigates the impact of the mutual sanctions between the EU and Russia, followed by the escalation of the Ukraine conflict in 2014. Her results show a division pattern of all EU-27 countries in two groups: the West European countries that recovered from the sanctions shock, and the East European and Baltic countries, which are still suffering with negative consequences. According to Maria, this topic is of crucial importance for gaining a better understanding of the costs of political decisions that might affect the aspired convergence of Europe. In a second research topic, Maria also looks at long-run co-evolution of innovation activities and public funding in German regions. The results show strong empirical evidence of its existence. Another issue of crucial importance, one of the most controversial, is climate change. According to Jennifer Uju Okonkwo, a young Nigerian economist based at the University of Kiel, regardless of what sceptics think, research shows evidence that the climatic system is changing and this change has several negative consequences, such as rising sea levels, coastal flooding, droughts, global warming and changes in precipitation. Hence, there is a dire need to understand optimal ways to adapt to the changing climate. Her research thus aims at finding cost-effective strategies to manage climate change that could be beneficial to developing countries with limited adaptation funds. When investigating the issue of climate change, we immediately come across divergent views and an asymmetry in information, thus generating inefficiencies in addressing and solving such a phenomenon. As a young Iranian economist working on applied microeconomic theory at Warwick University, Zeinab Aboutalebi is investigating the role of information asymmetry. Her research is dedicated to tracing inefficiencies created through the strategic interaction among economic actors. The role of information asymmetry is crucial in shaping the resulting consequences and in reducing the inefficiencies using, for example, different incentive schemes, designing incentive mechanisms, delegation or persuasion techniques. Zeinab is currently working on feedback in experimentation and how the goodwill of a principal to not discourage an agent, while providing him/her feedback about the result of the experiment, could cause large inefficiencies and uninformative communication between the principal and the agent. Information asymmetry and the lack of informative communication are thus the building blocks of most of today’s big phenomena. From climate change, to inequality, displaced workers, sanctions, growth, monetary policy and information asymmetry, it was a pleasure to make this journey into the lives and research interests of seven young women economists – to discuss new research ideas, exchange views and laugh while talking about science and about a world that is a fascinating place still to be discovered with a pinch of serendipity and a lot of determination. Thank you for sharing your passion! 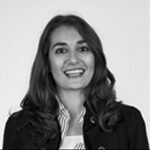 Angela De Martiis, Lindau Alumna 2017, is a PhD Candidate and Research Fellow at the Zeppelin University, Friedrichshafen, Germany, and Chair of International Economics. She holds an M.A. in International Economics from the University of Turin, Italy. She has been awarded the 2016 “Giancarlo Marini” Award for Young Economists and the 2015 “Giorgio Rota” best paper Award. She is also Research Fellow at the “Centro Einaudi” of Turin Italy and was previously Junior Researcher at the United Nations. She is mostly doing research on political economy, inequality and regional economics.